In recent years, there has been a great interest and movement in home vegetable gardening. There are many reasons for doing this; among are greater interests in knowing where our food not only comes from but also what chemicals are used on it. After the initial expenses, gardening costs are minimal and the return may be substantial. Before establishing a home garden there are several things to decide. 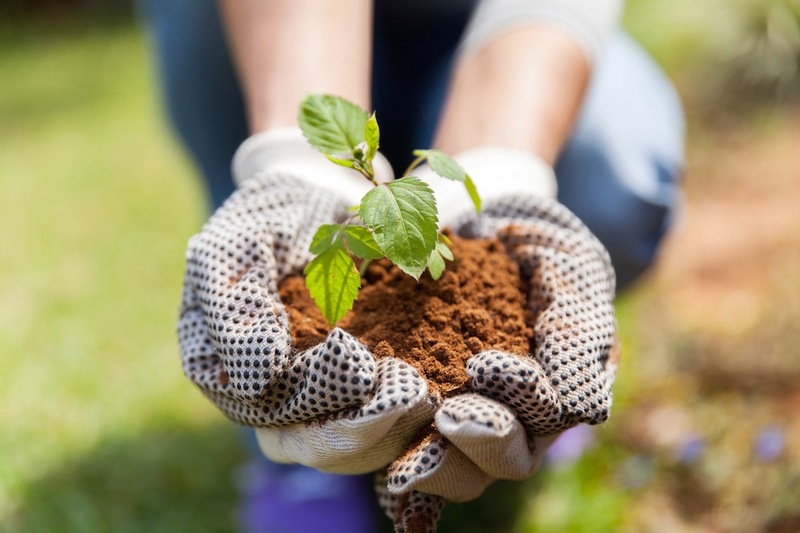 First, one needs to be dedicated throughout the spring, summer, and fall to spending time in the garden, preparing soil, planting, weeding, and harvesting. This may take five to six hours a week. to be watered twice a week. Laying mulch amongst the plants will help to conserve moisture. Are deer a problem? If so, a high fence is required. After determining the size of the garden area, grass will have to be removed. Do not till the area to turn the grass under as roots will continue to regrow. Check the soil for its friability. Is it hard clay or full of stones? If so, perhaps raised beds may be a better solution. Knowing the growing zone of your area and the approximate length of growing season will help decide what type of vegetables to plant. In Central Eastern Montana the zone may range from a 3 to a 5. Both figures will help one plant short season seeds that will mature before early freezing weather. There are many resources available to help one garden. They may be found in books and magazines, on the Internet, through garden clubs, gardening friends and master gardeners, or through the Montana State University Extension Service. (See Mont Guide # 9502, “Planting a Successful Home Vegetable Garden.” They have many other free gardening publications.) A notebook, pencil, eraser and measuring tape will help keep track of planting ideas and projects. The size of a backyard garden should depend on how much time you will have to spend in it or how much produce you want to grow. Your schedule should be taken into consideration; perhaps when the beans need to be harvested, you will be going on vacation. Gardening may be an individual project or a family one. This is also a great opportunity to share with children. The benefits of gardening are not only therapeutic and provide exercise but there is also a pride in seeing things growing under your care. Plans should also be thought of as to what to do with the excess produce you cannot eat. It may be canned, frozen, or given away. In the excitement of planning a garden one may over plant. There are stories of people locking their cars against a gardener who over-planted zucchini. Just one or two of these plants may produce all the zucchini you can use. Lettuce, other greens, and radish plantings should be staggered as all the seeds in a package will mature at one time if planted together. Also, some plants such as corn and squash take up much space in a small garden. Take care not to have tall plants in front of shorter ones. Know the difference between determinate or indeterminate tomato plants. Although starting seeds inside the house may be more economical, it does take a commitment and time. It may be better in the beginning to purchase prestarted plants such as tomatoes, peppers, and cabbage. Local greenhouses and nurseries will not only have plants that are adaptable to this area but also knowledgeable personnel. Some chain stores are sent plants and seeds not suitable for our zones. When purchasing plants, carefully check the top and under leaves for insects, webbing, or chewed leaves. Roots growing out the bottom of containers indicate pot-bound plants. Try to avoid them or blooming plants. Before setting plants into the garden they should be hardened off. Also, water them well before and after planting. It is best to set them out on a cloudy day or in the evening. If seedlings are planted, an opened bottom plastic milk jug or upright barrier set over the plants can protect them from the sun, winds, or late frosts until they are settled. Labels may range from Popsicle sticks, seed packages on sticks, or other ideas. Two stakes and twine will also help form straight lines for opening up furrows. Garden tools such as a wheelbarrow, rake, shovel, hoe, and trowels may be found in second hand stores or flea markets. Some soap, water, and spray paint will help them look new. Heirloom or open pollinated seed varieties may be found. Read the backs of seed packets. A few rows or areas of flowers may provide beauty and color in your garden. Gardening is not for everyone but for most of us it is a different adventure every year as new varieties of vegetables are tried and different weather conditions are experienced!